Okay people, this style blog post is a first for me. If you read about my New Year’s Goals, then you know that one of them is to read more. One of the ways I try and implement that goal is by setting aside 30 minutes a day to read. Now this doesn’t happen everyday but I am trying to make it a habit. It may come as two 15 minute chunks or all at once before bed. Never the less, this is slowly becoming a part of my daily routine. Mid January I did something I hadn’t done since maybe high school or maybe even earlier, I checked a book out from the library, ha!?!? We have a very small, small town library and one day while I was waiting for Naomi to get out and I had a little time, I went into our library. When I asked if they had any Elin Hilderbrand, the lady directed me to where they would be and they had one, lol! So I checked it out and I had two weeks to finish it. Barefoot was actually a pretty good book, it took me a little while to get into it because the author was building the characters but, about half way through and it started rolling. The book is about two sister and the sister’s friend, escape to Nantucket or escape from their realities and stay for the summer in a little cottage that was left to them by their Aunt. While having a summer on Nantucket they work through their issues so to speak, but I wasn’t a fan of the ending, I wish it would of wrapped it up a little better. 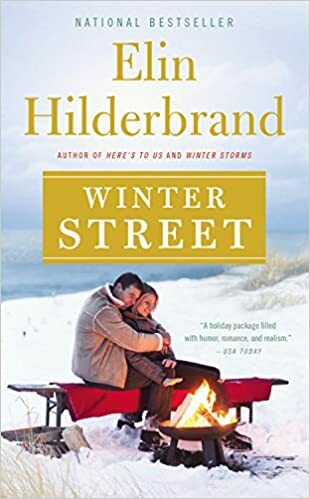 Winter Street is the first in a Trilogy about the Quinn family and their modern day family issues on Nantucket. The family owns an inn and is grown, so all the kids have their own issues and the parent’s are divorced, with their own love interests. One of the son’s is in the military and something happens to him that kind of brings the family together. I actually really like this series and she always leaves you on a big cliff hanger where you have to read the next book to see what happens. 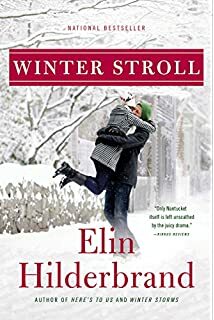 Winter Stroll is the second book in the series and what I have come to like about books that are in a series is that you don’t have to spend the first couple of chapters building characters. They can pick up where they left off or only blend in one or two new characters. Yet again this book left you on a cliff hanger so I’ll have to read the third and last book in the series to see what happens. In this book relationships between all the characters build and change, also they find out more info about the one son in the military. I would recommend all these books for sure! You may have the question of why I read three Elin Hilderbrand books and not any other author? Well if you read this post I am trying to have an open mind toward fiction, since I would rather read non fiction. So for January my goal was to read nothing but fiction and Hilderbrand books are light and easy and that is where I started. My next read will be the third and last installment, Winter Storm and then I am going to move to some Non Fiction! I know this is a different style post for me but it is here to stay.